24 Comments to "The False Dawn of Modern Humans in Eurasia"
Just a damn great post, Razib. Thanks! Do you have any insight into how the “third element” broke off from the “first”? I can more clearly imagine the WHG and ANE divergence: some follow rivers and forests, while others follow mammoths. Is figuring out the other main split just a matter of more aDNA from appropriate regions, or if there a good grasp already? 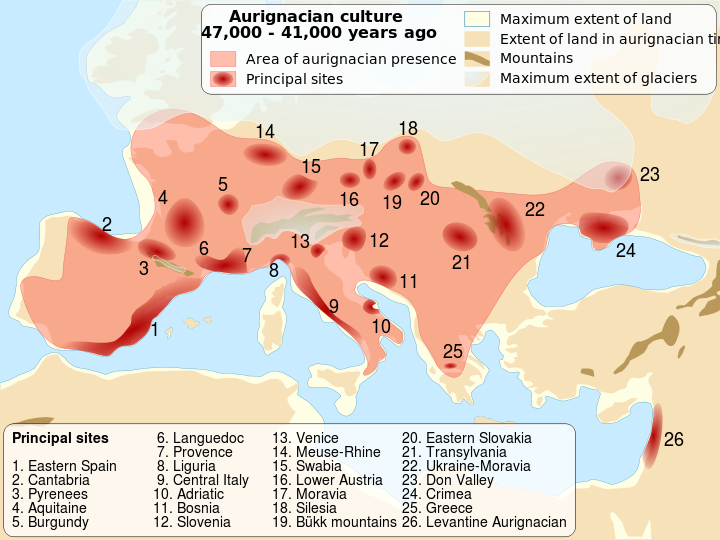 Certainly, any Aurigacian ancestry in modern Europeans would have to have been filtered through Gravettians. And certainly, any Gravettian ancestry in Mesolithic modern humans comes to us through a tiny subset of the Gravettian population of Europe and a tiny subset of its population genetic diversity that managed to survive the Last Glacial Maximum in refugia (conventionally, one Franco-Cantabrian one, one in Italy, and at the further Southeast corner of Europe in or near the Caucasus mountains). But, it is hard to find the evidence that Aurigacian modern humans with a very basal mtDNA R were not ancestors of the Gravettians, despite the fact that their autosomal DNA doesn’t clearly lean towards either modern East Eurasians or modern West Eurasians. Where else would the Gravettians have come from? And, why does mtDNA U5 (which is downstream from mtDNA R) start to predominant in Paleolithic European ancient DNA already by the late Aurigacian? mtDNA R is not really very geographically distinct today, as the biggest branch of mtDNA N. But, its Eurasian sister clade mtDNA M is very distinctively East Eurasian, and one very plausible possibility is that early on mtDNA N was West Eurasian and that mtDNA M was East Eurasian until a bunch of people with mtDNA N migrated east and the reverse didn’t happen. Also, Otzi suggests even after the Neolithic revolution and the early Eneolithic era, that many Europeans had highly elevated levels of Neanderthal ancestry that was only diluted with the arrival of the Eneolithic-early Bronze Age mass migrations into Europe. Otzi had at least one parent with as much Neanderthal ancestry as Oase1 did. Otzi couldn’t have the high level of Neanderthal ancestry that he did if he didn’t have ancestors like Oase1 with elevated levels of Neanderthal ancestry relative to East Eurasians. That could only happen if they had ancestors who received secondary exposure of modern humans to Neanderthals in Europe during the time frame when Neanderthals were not extinct or moribund which basically means pre-Gravettian. Of course, in the last 5,000 years or so, Europe’s elevated levels of Neanderthal ancestry have been diluted by in migration to the point where it is now below that of East Eurasians who may have had some secondary Neanderthal admixture, but probably much, much less than early Europeans who co-existed with Neanderthals did. One of the lessons that we learn from populations like the Kalish is that if you isolate a population with a low effective population size and an associated rise in inbreeding coefficient for a few thousand years that within group homogeneity gives the appearance of a distinct ancestral population that is an out group to populations that aren’t so small and insular. I suspect that historically, the refugia populations had small effective population sizes and were isolated during the LGM for thousands of years, suffered an associated post-Gravettian collapse in the quality of their material culture, and like the Kalish developed a very distinctive autosomal DNA profile as a result that we now associate with West Eurasia. Likewise, isolation and time led basal mtDNA R to develop into regionally distinct Y-DNA and mtDNA haplogroups in different refugia. This effect is more pronounced in some statistics of group affiliation than others, and my suspicion is that the appearance that Aurigacian modern humans are an out group to all other modern Eurasians is probably a product of using statistics that aren’t very robust to the “Kalish effect”, rather than being real. IIRC, f3 is more robust and less likely to show this effect, while others, like fst and ancestral component modeling using popular software programs, is less robust. Put another way, I suspect that the LGM gave rise to West Eurasian ethnogenesis at a population genetic level, as founder effects and bottlenecks and strong selection pressures conspired to transform the relatively undifferentiated proto-Eurasian people who went into that era into highly regionally differentiated people after it. One more thought that I was grasping after but didn't quite nail. If the question is, do people without distinctive West Eurasian autosomal DNA like the Aurigacians (and in my view, probably the Gravettians as well) still exist anywhere, the answer to that question is clearly no. When the LGM came along the only options were change or die. A better analogy might be to some biological taxon that once had lots of species and large populations that now has only offshoots of one very distinctive branch of the category, which has seen renewed success after hitting hard times. For example, the way that birds are the only remaining descendants of the dinosaurs and aren't even thought of as dinosaurs any more because they have become so distinctively different from most of their ancestors. 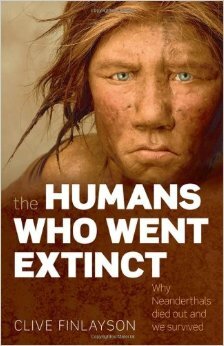 Modern Europeans are the birds; Cro-Magnon Aurigacians are the dinosaurs. "Otzi had at least one parent with as much Neanderthal ancestry as Oase1 did." Now that we have a better handle on determining the level of Neanderthal ancestry in genomes, this just doesn't look like it is at all true. Otzi was a typical Neolithic person, without abnormally high levels of Neanderthal ancestry. And in any case, most of his ancestry was from farmers who moved into Europe from the middle east, not even European hunter-gatherers. But, it is hard to find the evidence that Aurigacian modern humans with a very basal mtDNA R were not ancestors of the Gravettians, despite the fact that their autosomal DNA doesn't clearly lean towards either modern East Eurasians or modern West Eurasians. Where else would the Gravettians have come from? And, why does mtDNA U5 (which is downstream from mtDNA R) start to predominant in Paleolithic European ancient DNA already by the late Aurigacian? mtDNA R is not really very geographically distinct today, as the biggest branch of mtDNA N. But, its Eurasian sister clade mtDNA M is very distinctively East Eurasian, and one very plausible possibility is that early on mtDNA N was West Eurasian and that mtDNA M was East Eurasian until a bunch of people with mtDNA N migrated east and the reverse didn't happen. 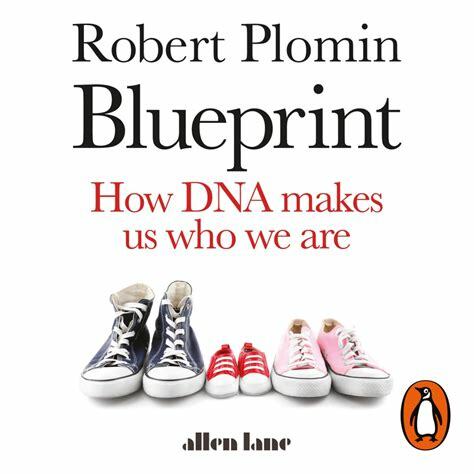 Also, Otzi suggests even after the Neolithic revolution and the early Eneolithic era, that many Europeans had highly elevated levels of Neanderthal ancestry that was only diluted with the arrival of the Eneolithic-early Bronze Age mass migrations into Europe. Otzi had at least one parent with as much Neanderthal ancestry as Oase1 did. Otzi couldn't have the high level of Neanderthal ancestry that he did if he didn't have ancestors like Oase1 with elevated levels of Neanderthal ancestry relative to East Eurasians. That could only happen if they had ancestors who received secondary exposure of modern humans to Neanderthals in Europe during the time frame when Neanderthals were not extinct or moribund which basically means pre-Gravettian. Of course, in the last 5,000 years or so, Europe's elevated levels of Neanderthal ancestry have been diluted by in migration to the point where it is now below that of East Eurasians who may have had some secondary Neanderthal admixture, but probably much, much less than early Europeans who co-existed with Neanderthals did. One of the lessons that we learn from populations like the Kalish is that if you isolate a population with a low effective population size and an associated rise in inbreeding coefficient for a few thousand years that within group homogeneity gives the appearance of a distinct ancestral population that is an out group to populations that aren't so small and insular. This effect is more pronounced in some statistics of group affiliation than others, and my suspicion is that the appearance that Aurigacian modern humans are an out group to all other modern Eurasians is probably a product of using statistics that aren't very robust to the "Kalish effect", rather than being real. IIRC, f3 is more robust and less likely to show this effect, while others, like fst and ancestral component modeling using popular software programs, is less robust. One more thought that I was grasping after but didn’t quite nail. A better analogy might be to some biological taxon that once had lots of species and large populations that now has only offshoots of one very distinctive branch of the category, which has seen renewed success after hitting hard times. For example, the way that birds are the only remaining descendants of the dinosaurs and aren’t even thought of as dinosaurs any more because they have become so distinctively different from most of their ancestors. ” Otzi had at least one parent with as much Neanderthal ancestry as Oase1 did. Otzi couldn’t have the high level of Neanderthal ancestry that he did if he didn’t have ancestors like Oase1 with elevated levels of Neanderthal ancestry relative to East Eurasians”. But not necessarily the same Neanderthal ancestry. Turns out Oase 1 has different Neanderthal chromosome sections than do surviving modern humans. The conclusion is that hybrid formation was not uncommon but the surviving Neanderthal contribution is from just a small population. This last paper proposes two separate migrations however the first paper makes two separate routes more likely. Minor nitpick: on that map no. 22 should be Moldova. Now that we have a better handle on determining the level of Neanderthal ancestry in genomes, this just doesn’t look like it is at all true. Otzi was a typical Neolithic person, without abnormally high levels of Neanderthal ancestry. And in any case, most of his ancestry was from farmers who moved into Europe from the middle east, not even European hunter-gatherers. The report of elevated Neanderthal ancestry was John Hawks' 2012 paper. It showed Otzi with about 60% more Neanderthal DNA than is common now. Has there been a publication since then reevaluating that result? What was the study that found Oetzi's Neanderthal ancestry to be inflated? D statistics of the form (Chimp, Altai Neanderthal; modern West Asian, Oetzi) are significantly positive. The report of elevated Neanderthal ancestry was John Hawks’ 2012 paper. It showed Otzi with about 60% more Neanderthal DNA than is common now. Has there been a publication since then reevaluating that result? I thought Hawks never published that. He mentioned it in a blog but when the data didn't get published I assumed the results did not turn out to be very solid. 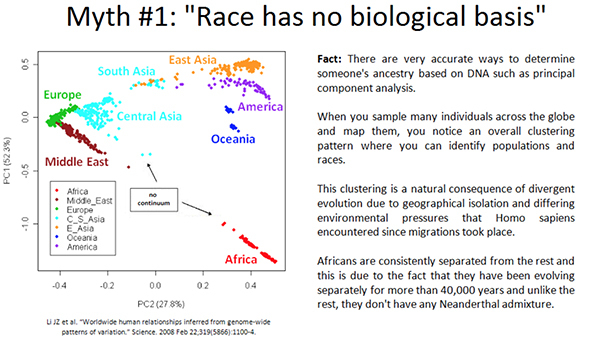 "All D-tests involving another non-African population do not significantly deviate from zero, suggesting that the Iceman genome contains levels of archaic ancestry that are comparable to that of other non-African populations." What was the study that found Oetzi’s Neanderthal ancestry to be inflated? Thanks Rick! I missed that one. In that study they used transversions only to avoid getting spurious results from shared patterns of DNA damage; maybe that explains the earlier results. However, other Neolithic genomes like Stuttgart don't show the same effect; they are equidistant with Armenians and Bedouins to Neanderthals. The D statistics in the paper don't differ significantly at Z = 3, but they look like they are not far under that point in comparison to Europeans (though only very marginally negative compared to East Asians). I thought Hawks never published that. He mentioned it in a blog but when the data didn’t get published I assumed the results did not turn out to be very solid. I think this European situation is very interesting in comparison to the Oceanian populations with Denisovan admixture. In this case, evidence is mounting that perhaps the first modern human populations in Australia and/or New Guinea had extremely high levels of Denisovan ancestry (perhaps 25% or more), and that this was diluted down by a later migration of modern humans lacking Denisovan ancestry. It is quite unfortunate that Indigenous Australians are averse to genetic testing. Perhaps if high quality ancient DNA can be obtained from remains in places such as Lake Mungo, then the history of this region will become more clear, and the native people will be less skeptical. I think that this change is already starting to happen among Native Americans. In that study they used transversions only to avoid getting spurious results from shared patterns of DNA damage; maybe that explains the earlier results. However, other Neolithic genomes like Stuttgart don’t show the same effect; they are equidistant with Armenians and Bedouins to Neanderthals. The D statistics in the paper don’t differ significantly at Z = 3, but they look like they are not far under that point in comparison to Europeans (though only very marginally negative compared to East Asians). As I suggested maybe 5 years ago, Cro-Magnons could have left descendants in North Africa, and the Canaries, and maybe even West Africa. The Mechta-Afalou people were very robust and would fit with an emigration from Iberia. I’ve also speculated in the past that Cro-Magnons came from Siberia originally, and there is an mtDNA haplogroup that links Siberia, Saami and North Africa, U5b1b1. It is also found to a lesser extent in the Fulbe/Fulani of the Sahel. If I recall correctly, mtDNA V also bridges the Saami and North Africans, in addition to being found in some coastal communities in between. I think, however, that the likelihood is great that the flow was from a Franco-Cantrabrian refuge to the South to North Africa, to the North to Arctic Finland, and then from Finland to Siberia. Finland and the lion's share of Siberia were covered in ice during the LGM, so 100% of their populations had to arrive after that Ice Age ended, sometime several millenia after 20,000 years ago, in the Epipaleolithic/Mesolithic era or later. Neither the Saami nor the Siberians experienced the Neolithic revolution particularly early, and it is likely the links to North Africa likewise precede the advent of farming or herding in any of these populations. These linking genetic signatures, to some extent, probably reflect relatively modest population replacement upon making the transition to herding from hunting and gathering, compared to most other world populations. Siberia has seen multiple swings from being dominated by West Eurasians, to being dominated by East Eurasians, and back again since the LGM, so there has been more than one opportunity for Saami genese to end up in Siberia. The absence of the linking mtDNA in the New World, however, likewise corroborates a post-LGM dispersal of these genes. That is, the hunter-gatherer heritage, the mysterious Eurasian element defined by the Mal’ta boy and found in Native Americans and brought to Europe by groups from the east ~4,000 years ago. So where does that leave us? "we’ll sail of the edge of our flat-Earth people": oh dear, that tiresome rubbish again. The "flat earth" nonsense was largely propagated by Washington Irving in the 19th century to disparage the Roman Catholic Church: a noble cause, no doubt, but it was ignoble to pursue it by lying. Razib, I hope you will do a posting on the new PBS series “First Peoples” sometime soon. I would love to hear your reaction. "First Peoples" reminds of the way activists and mere sympathisers and latterday fellow travellers show their real indifference to the "Aborigines" who want recognition in the preamble to the Australian constitution. There were obviously many small groups of immigrants to Australia over 50,000 years or so from many different gene pools and geographic origins but the expression "First People" is lightly used to refer to the descendants of those living on the Australian continent in 1788. It is as irritatingly fatuous, inaccurate and carelessly patronising as the expression "world's oldest continuous living culture" is [when you think about it] insulting as well as pretty obviously untrue. “we’ll sail of the edge of our flat-Earth people”: oh dear, that tiresome rubbish again. The “flat earth” nonsense was largely propagated by Washington Irving in the 19th century to disparage the Roman Catholic Church: a noble cause, no doubt, but it was ignoble to pursue it by lying. Meanwhile a Blackfoot friend of mine was a wildfire crew boss tasked with coordinating with a White crew on a fire in Idaho .. he met the White crew boss and they were sizing each other up and the Blackfoot spoke first "Your people believe the Earth is flat" .. to which after a long pause the White crew boss finally replied "But that was a long time ago!" The “flat earth” nonsense was largely propagated by Washington Irving in the 19th century to disparage the Roman Catholic Church: a noble cause, no doubt, but it was ignoble to pursue it by lying. John W. Draper (1811-1882) was born in England into a devout Methodist family. In 1832, he emigrated to the U.S., studied medicine at the University of Pennsylvania, and later became professor of chemistry and biology at New York University and head of the medical school. Along the way he rejected his family’s religion and acquired an intense antipathy for Catholicism. Two factors were pivotal in shaping his attitude: the debates over Darwinian evolution erupting shortly after the publication of On the Origin of Species in 1859, and the reactionary attitude of Pope Pius IX toward liberal progressivism encapsulated in his Syllabus of Errors published in 1864. In 1874, Draper published The History of Conflict Between Religion and Science, in which he argued that current (nineteenth-century) events were reflective of the totality of Christian history. Christianity was currently opposing progress because it has always been an impediment to science, reason, and progress. An especially egregious example of this was the Church’s insistence on a flat earth, a laughable dogma that stubbornly persisted until Columbus demolished it, bravely prevailing despite the ignorant protests of the Spanish cardinals. Draper, with a little help from Washington Irving, thus popularized the “flat earth” myth, the idea that prior to Columbus there was a widespread, religiously-inspired belief that the earth was flat. So from where did Draper get the idea of a medieval Christian belief in a flat earth? He read William Whewell’s book History of Inductive Sciences, published about three decades earlier. Whewell, a Cambridge Vice-Chancellor and Anglican priest, made intellectual stars out of two minor Christian authors, Lactantius and Cosmas Indicopleustes. Lactantius was a fourth-century pagan convert to Christianity who took particular delight in arguing against pretty much everything any pagan philosopher ever said, including that the earth was round. Christians wanted converts, but even they couldn’t stomach Lactantius, whose works were posthumously condemned. Cosmas Indicopleustes was an even more peculiar specimen. A sixth-century merchant-sailor who later adopted monasticism, Cosmas boasted a hopelessly literal mind. To him, the projected rectilinear-shaped maps of Strabo and Eratosthenes meant that the earth was physically flat. Furthermore, they confirmed a literal interpretation of Biblical descriptions such as the “four corners of the earth” (which most everyone else took allegorically). Unlike Lactantius, Cosmas’ ideas were too silly to condemn. He was just ignored. But Whewell dug him up along with Lactantius, and Draper ran with the corpses. Thus did a long-forgotten heretic and an oddball nobody become the standard-bearers for medieval Christian geography. Draper was followed in 1896 by Cornell University president Andrew Dickson White, who published the two-volume set History of the Warfare of Science with Theology in Christendom. A better historian than Draper, White realized that the case for the medieval flat earth was pitifully thin. His tactic was to stealthily misrepresent a few church fathers as flat-earthers (Basil, Chrysostom) and to argue that the non-flat-earthers were a few brave soles swimming against a colossal tide. Exactly how folks such as Origen, Ambrose, Augustine, Clement, and Aquinas could be swimming against a tide of their own creation was never explained. But no matter. Facts only confuse a good story. The narrative was bold, simple, and eagerly embraced by the nineteenth-century intelligentsia, who asserted that today, as always, religion subverts knowledge and progress. It was a classic fight of good vs. evil, progress vs. regress, ignorance vs. enlightenment — just what the papers needed to sell copy. ok, please stop talking about this. i'll let the conversion continue on your blog. ok, please stop talking about this. i’ll let the conversion continue on your blog. I've also speculated in the past that Cro-Magnons came from Siberia originally, and there is an mtDNA haplogroup that links Siberia, Saami and North Africa, U5b1b1. It is also found to a lesser extent in the Fulbe/Fulani of the Sahel. Finland and the lion’s share of Siberia were covered in ice during the LGM, so 100% of their populations had to arrive after that Ice Age ended, sometime several millenia after 20,000 years ago, in the Epipaleolithic/Mesolithic era or later. I have long suspected that rapid population turnover has been a prime mover in recent human evolution. Small genetic advantages by one group over another one would cause a slightly higher reproduction rate which extrapolated over enough generations would mean total replacement by the faster reproducing population. There is a common misconception that the expanding population would readily interbreed with the previous population, and certainly this is true with any other species but it would be the exception to the rule in prehistoric human cultures. Why? Because someone not raised in your culture wouldn’t understand how to perform the simplest chores and would be a terrible mate. Certainly there was interbreeding going on between human groups occupying the same area but not nearly to the extent that was once ignorantly believed. I look forward to continued excellent reporting by Razib on what the latest findings in genetics are telling us about our long lost past. Razib, I hope you will do a posting on the new PBS series "First Peoples" sometime soon. I would love to hear your reaction. “First Peoples” reminds of the way activists and mere sympathisers and latterday fellow travellers show their real indifference to the “Aborigines” who want recognition in the preamble to the Australian constitution. There were obviously many small groups of immigrants to Australia over 50,000 years or so from many different gene pools and geographic origins but the expression “First People” is lightly used to refer to the descendants of those living on the Australian continent in 1788. It is as irritatingly fatuous, inaccurate and carelessly patronising as the expression “world’s oldest continuous living culture” is [when you think about it] insulting as well as pretty obviously untrue. I hope you aren't implying that all cultures are the tip of equal length branches of the universal human "continuous living culture" tree. What about my use of fire and flint tools to find food that I didn't directly help to grow? Doesn't that make my branch shorter than truck drivers and bloggers? I hope you aren’t implying that all cultures are the tip of equal length branches of the universal human “continuous living culture” tree. What about my use of fire and flint tools to find food that I didn’t directly help to grow? Doesn’t that make my branch shorter than truck drivers and bloggers?